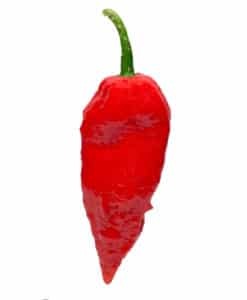 The heat is like you swallowed a burning coal that keeps getting hotter and hotter. 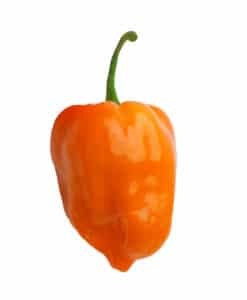 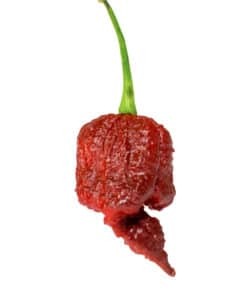 The Trinidad Scorpion Butch T is one pepper not to be taken lightly. 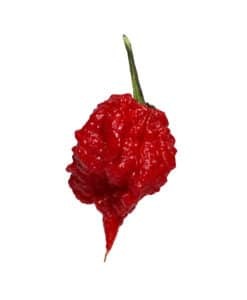 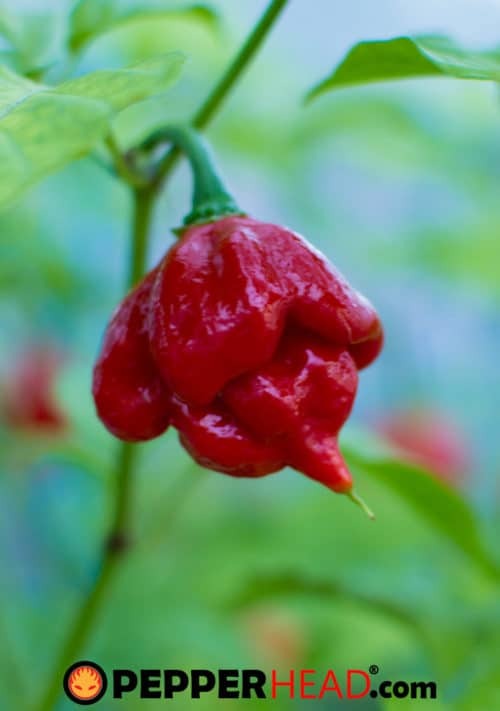 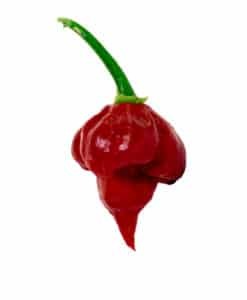 Although lower on the Top 10 List, it once held the official title of The Worlds Hottest Pepper from March 3rd, 2011 until August 7, 2013 when The Carolina Reaper took the title. 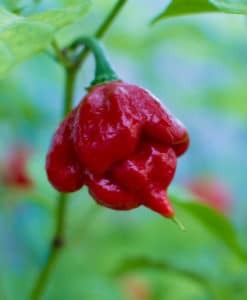 This formidable pepper was discovered by Butch Taylor in his patch of Trinidad Scorpion peppers. 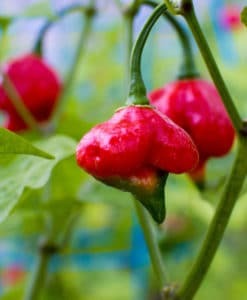 It looked different from the other peppers and decided to taste it, this is when he knew he had something special. 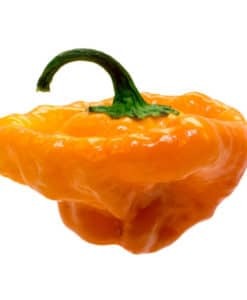 It’s unique shape differentiated it from the rest of the peppers with it’s pointy tail. 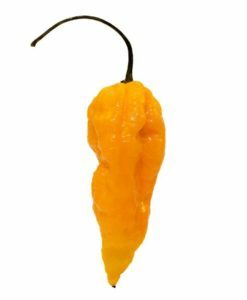 After a few generations of isolation he submitted it to Guinness World Records and it blew the previous record out of the water. 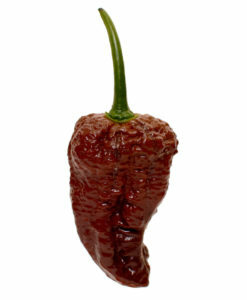 The Butch T’s heat can be described as swallowing a burning coal that keeps getting hotter and hotter. 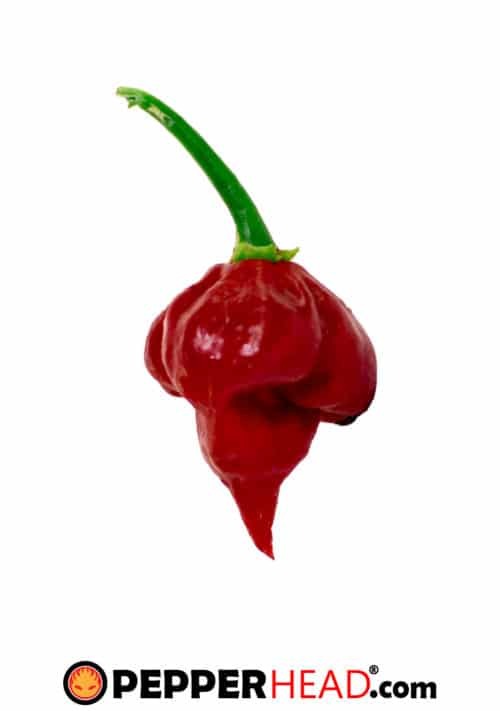 It’s the unrelenting heat that makes this pepper so scorching hot. 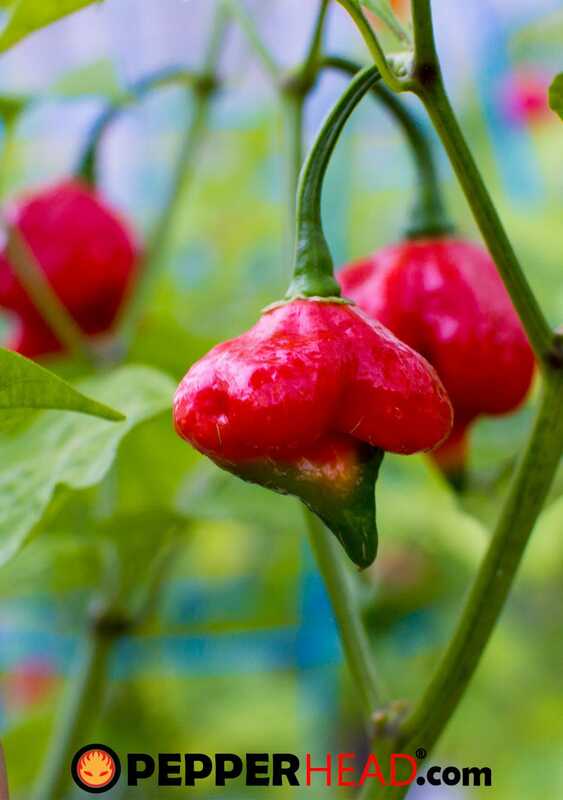 What’s really great about growing this pepper plant is that it produces bountiful crops, reaching over 3′ tall.